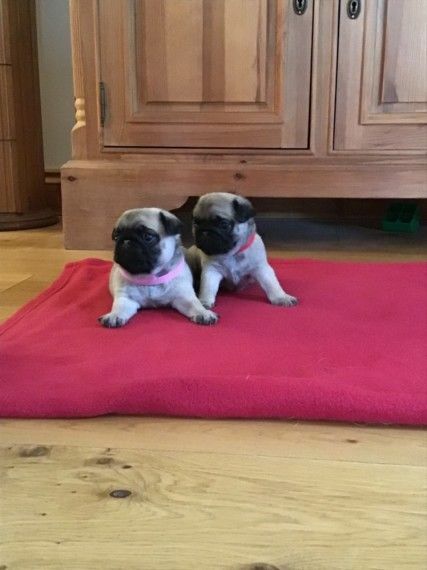 Stunning pug puppies available to view. We have 3 girls and 3 boys, out of Eastonite Golden Rodney. Mum is our home bred Champion sired gray girl, a wonderful example of the breed, and health tested for 17 different conditions. 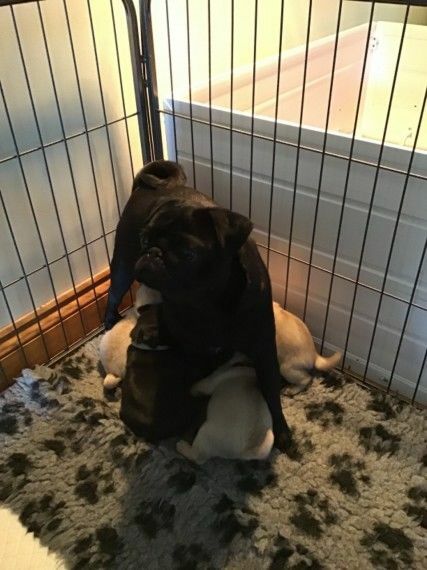 puppies are being raised in our family home, surrounded by other animals and children, and will be well socialised. 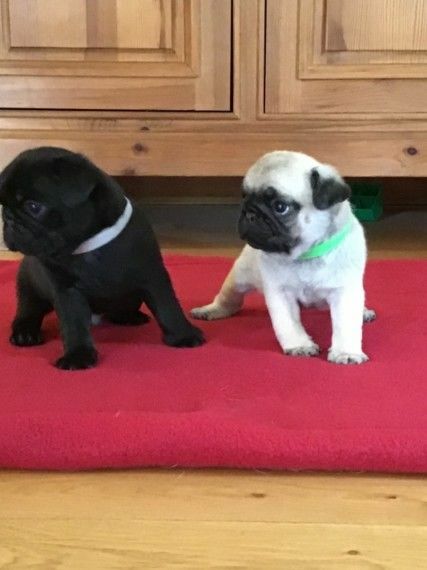 They will be wormed every 2 weeks from birth, weaned on raw, and will leave with a beautiful puppy pack containing toys and blanket, their AKC registration, free insurance, vet check, first vaccination and microchip paperwork, copies of parent’s health testing and supply of wormer and raw food. Advice on feeding and health care is always available, and ongoing support and contact is appreciated and encouraged. 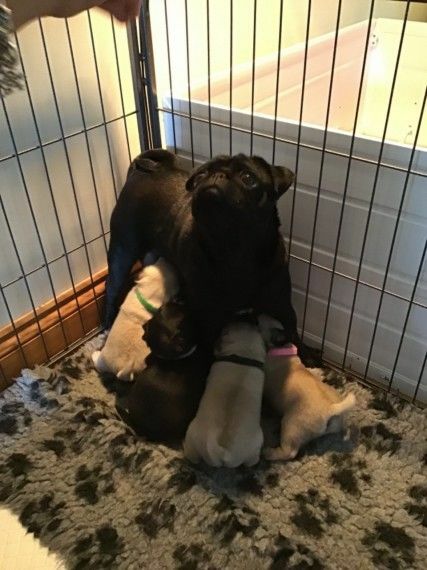 Regular updated pictures will be added as puppies grow. 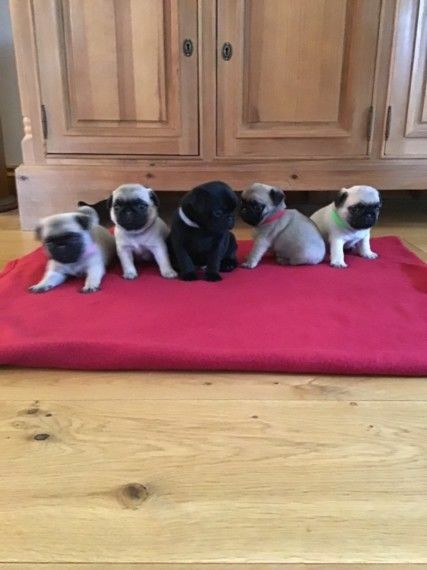 3 boys and 3 girls available, and will be ready to leave at 9 weeks, although we are always happy to work around families holiday commitments. New families are kept updated with regular photos and videos between visits. Please feel free to email to discuss or to arrange a viewing anytime.